Lil Pump, is an American rapper, producer and songwriter. He is well known for the song “Gucci Gang”, which became a viral success. Well, that and his insanely colorful hairstyle. The song peaked at #3 on the Billboard Hot 100. As of 2019, Lil Pump’s net worth is roughly $8 million. Lil Pump was born Gazzy Garcia on the 17th August, 2000, in Miami, Florida. His father is Cuban, and his mother Mexican, and Garcia is the only child of the family. Garcia was pretty much expelled from every single school he went to, mainly for getting into fights, and inciting riots. Garcia enjoyed to rap from a very young age; and if you have a look online, you’ll be able to see some of the videos in the early days. Some videos on YouTube show his progression from 2012-2017, which is from the age of 12 years old to 17 years old. In 2016, Lil Pump freestyled over a track that Smokepurpp had produced. Pump’s cousin introduced the two artists to each other when Pump was only 13 years old, and they’d been collaborating since. The song “Lil Pump” was released on SoundCloud, and followed up with several others, which each received millions of views on the music streaming platform. The recognition on SoundCloud quickly built Lil Pump’s following, and in 2017 he released the songs “D Rose” and “Boss”, which have since been listened to over 70 million times on the platform. The success of “D Rose” was so strong that a music video was created and published on YouTube, reaching over 100 million views worldwide. Gucci Gang was also released in the same year, and the mainstream success of the song opened Lil Pump’s music up to a much wider audience. Artists such as Rick Ross, Gucci Mane, Chief Keef, and DJ Khaled have shown a big interest in the rapper, and even collaborated with him on his debut album. SoundCloud and other music platforms have been very powerful tools in the past few years for up and coming artists to get their music discovered. It certainly worked for Lil Pump. This is the new generation of marketing for unsigned artists who have little budget to work with. As of 2019, Lil Pump’s net worth is estimated a $8 million. Is Lil Pump a one hit wonder? Or will he continue to release Billboard worthy singles in the future? As of 2019, Lil Pump’s net worth is estimated to be $8 million. 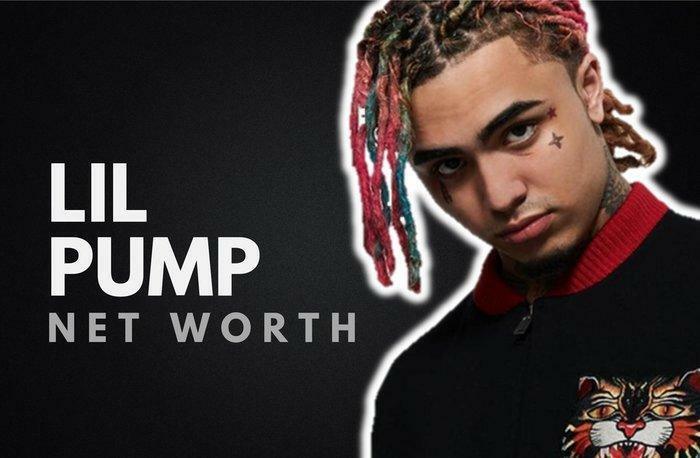 What do you think about Lil Pump’s net worth? Leave a comment below. Lil Pump is gonna be millionaire very soon.